Go look for Volcano Vents and Pirate Camps. A new set of weekly Fortnite: Battle Royale challenges has been revealed. Players now have access to the season eight, week five set with three new challenges for everyone and another four for those with a premium Battle Pass. These challenges can be completed in any Battle Royale game mode, except for Playground. That means big-team modes like Team Rumble and other Limited Time Modes like The Floor is Lava are all valid to try to complete your challenges and get those sweet Battle Stars. Players can get up to 50 Battle Stars upon completing everything, which means five full tiers of the Battle Pass. Players can party up with friends and use the Party Assist feature to complete all challenges faster. This week, players will be tasked with going to Volcano Vents, using vehicles quite a lot, and the usual dealing damage with weapons and searching chests at specific locations. Check the table below for the full list of week five challenges and a few tips and tricks after it. Some of these challenges require players to go to very specific places. The race track in Happy Hamlet, for instance, is located west of that area. Pirate Camps always spawn in specific locations near the northeast of the Fortnite island, and Mushrooms also have predefined areas where they can spawn. 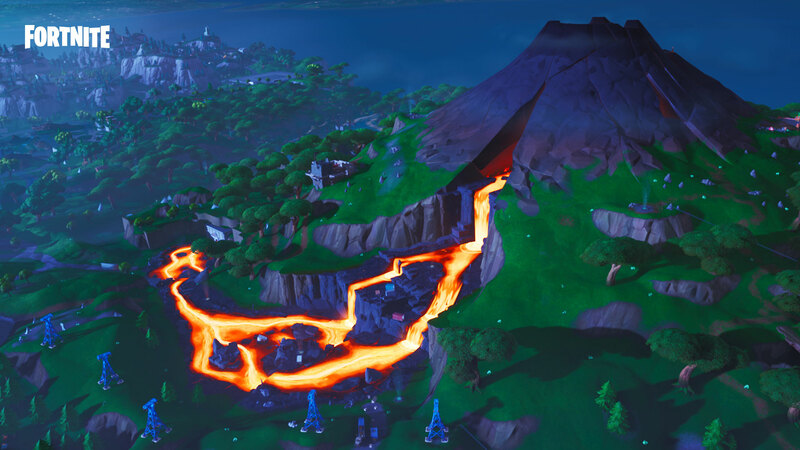 Although there are Volcano Vents, ziplines, and vehicles all around the island, players can go north of the Volcano, near Lazy Lagoon, to find plenty of those in the same place. Other than that, dealing damage to opponents is way easier in game modes that have respawning enabled, like Team Rumble. Use them to your advantage and complete the week five challenges in no time.